tl;dr: Why the hell are you worrying about global GDP growth when you are riding a secular shift? The UK has voted to leave the EU, and the media is buzzing about how the recent vote will change everything. If you live in the United States, unless you are an investment banker, or someone actively involved in currency trading , chances are that Brexit will have little impact on your startup. Your startup’s life is far more determined by its gross margins, free cash flow, and days required to close a lead than anything external, like Brexit. Very little, if anything, will change meaningfully for your startup in the wake of the UK’s vote. First, let’s start with some basics. 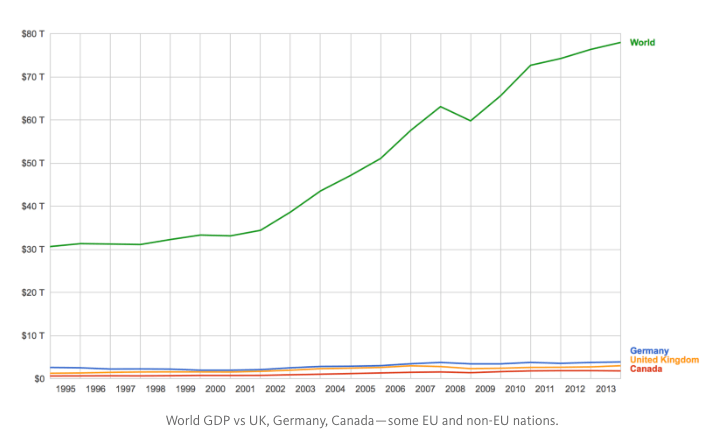 What was the impact of UK joining the EU? It’s important to know so that we can assess the downside of its exit. 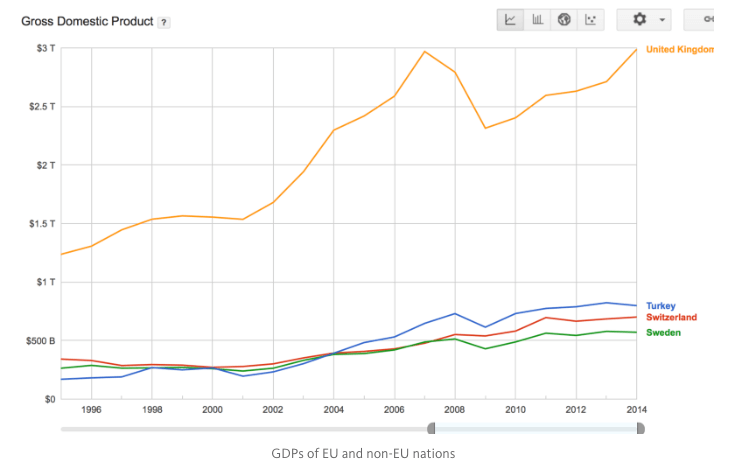 In our first chart, we compare economies that are in EU and not in the EU. See if you can spot any patterns . I cannot. You don’t need an advanced degree in either economics or statistics to see that the scale of the world is far larger than any of its constituent parts, and that it’s nearly impossible to correlate any single country’s performance to changes in the global arc. I was at Salesforce when economists of all stripes said that the world was ending. And in 2008, their concern was real and partially correct. The global economy did slow down. But here’s what happened to our numbers: We sold as much as the number of sales people we hired. Nothing changed except that we slowed down hiring. That was a huge mistake. 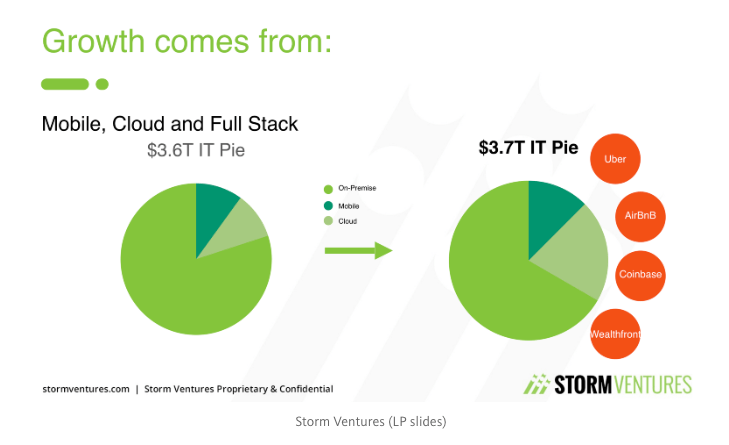 In retrospect, it was clear: A secular shift like the move to the cloud, when cloud adoption was still in single digits of total spend, was not materially impacted by macroeconomic changes. When you are growing from 2.3 percent of IT spend to 3.4 percent of IT spend, your limitation is sales execution, not global GDP. What should startup founders do? Focus on hiring great people, closing more deals, and making their customers happy. The rest is noise. When you get to the size of Oracle or IBM, growing at the global GDP rate—or worse—you can worry about shifting macro trends. Anshu Sharma is a venture capitalist at Storm Ventures. You can read his prior writing on unicorns here.